Digestive enzyme supplements could help you to better tolerate FODMAPs in the diet, which might otherwise trigger symptoms if you have IBS. Most people know about lactase supplements to help reduce the lactose content of milk or to help digest lactose directly — but what about for other FODMAPs? Or indeed for gluten? A study conducted by Monash University, Australia, and published this summer in the American Journal of Gastroenterology, revealed further encouraging results for the enzyme alpha-galactosidase which can help to digest GOS — one half, along with fructo-oligosaccharides (FOS), of the ‘O’ in FODMAP. GOS are found in beans, pulses, soy milk, some nuts, and can be especially difficult to reduce or avoid for those following a vegan diet. They are responsible for beans’ windy reputation and can cause digestive upsets. The supplement used in the study was called Vitacost Gas Enzyme. Researchers concluded that when taken with high-GOS foods, the supplement “provided a clinically significant reduction in symptoms” in GOS-sensitive IBS patients, and may be a useful additional tool for dietitians to recommend to their patients. VGE isn’t the only alpha-galactosidase enzyme on the market; many such products include ‘bean’ in their name. One, Beano, which is available in a few varieties in the US, has been around for several decades as an over-the-counter option. Some modest studies suggest it can help with gas reduction. Note that both VGE and the regular version of Beano both contain mannitol. Another product, Kal’s Super Bean Relief, contains both mannitol and sorbitol. Therefore, these may not be appropriate or helpful to you if you also react to the ‘P’ of FODMAP — i.e. polyols — in addition to GOS. However, having examined the ingredients to Enzymedica’s BeanAssist (right), it would seem this particular alpha-galactosidase supplement is polyol-free, so could be a safer option if you’re uncertain about your tolerance to that particular FODMAP. The enzyme xylose isomerase can convert excess fructose into glucose, lowering the fructose load in a high-fructose food or meal. Fructose is a monosaccharide — an ‘M’. There is some evidence of its effectiveness against fructose malabsorption and in easing gastrointestinal symptoms — such as in this study. I’ve been unable to find an equivalent alternative. The only other option appears to be a broad spectrum enzyme supplement which incorporates xylose isomerase into its ‘blend’ (see Eat Anything, below). There are no available supplements for the polyols (sorbitol, mannitol, xylitol etc) or FOS / fructans. Possibly more useful to those with multiple FODMAP sensitivities are supplements which include several enzymes. In this category is Beano + Dairy Defense, which, unlike other Beano products (above), is polyol-free. Its active enzymes are alpha-galactosidase and lactase (for lactose) only. Also with alpha-galactosidase and lactase is Solgar’s Comfort Zone Digestive Complex (right) — which also contains additional generic digestive enzymes for proteins and fats, for example. It’s polyol-free too, and boasts some relaxing botanicals such as chamomile and fennel (FODMAP levels of those should be too low to cause problems). I’m not a fan of the name, but Eat Anything also ticks two ‘FODMAP boxes’ — alpha-galactosidase and xylose isomerase, this time — and it additionally contains other, non-FODMAP related digestive enzymes. There are claims it can help with lactose digestion, but I can’t see explicit mention of lactase in its marketing. It’s polyol-free. There are plenty of generic digestive supplements on the market, containing enzymes such as papain, bromelain, amylase and/or lipase, as well as hydrochloric acid and peppermint oil, that may help as general digestive aids for all macronutrients — for instance, at times when you overindulge during festivities. Note that these occasionally contain milk extracts, or even bovine (cow / ox) bile extracts and porcine (pig) pancreatic enzymes, so may not be vegan or even vegetarian. They are usually (but not always) free of most food allergens. There are a number on the market. The effectiveness of many have been questioned by gastroenterologists; it is thought they are unable to completely break down the complex problematic gluten (gliadin) molecule. 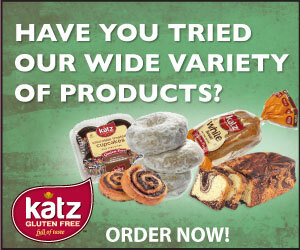 They are not yet recommended for coeliac disease, and any benefits for non-coeliac gluten sensitivity have not been demonstrated — possibly because NCGS may turn out to be a non-gluten-related disorder. The newest kid on the block is Australian GluteGuard, whose active enzymatic ingredient caricain is derived from papaya. One study showed decent benefits in protecting coeliac patients against the small quantities of gluten typical of accidental exposure while following a GFD, but the number of participants was small, with several dropping out due to symptoms. One to watch, though. So are enzymes worth a go? FODMAP enzymes can be, but only trial under the guidance of your FODMAP-trained dietitian. It’s important you know what your trigger FODMAPs are before using them. They will work for some, but not everyone, and should only be used after the re-introduction phase, to manage any ongoing extra exposure, or to be able to enjoy a food you may not normally be able to consume in certain social situations. Always take them precisely as directed: usually right before you start consuming the food. Don’t assume you can take a supplement and then proceed to eat any quantity of whatever you want — enzymes have not been tested in these extreme circumstances, and you may get symptoms. Use them with discretion and common sense too: occasionally, not daily. General digestive enzymes might have their place as well, but don’t use them as a magic pill in order to over-indulge. They are a support — not a preventative, nor a rescue! NB: Diabetics should seek advice from their doctors before using any of these supplements, as some can affect glucose levels. Hi, is there an enzyme that digests fructans? None that I know of, sorry Nan … I’ll keep looking.